DJI Naza Flight Controller – The “Free Flight” FC that I originally purchased just didn’t work out for me. I couldn’t make it fly right. I don’t know if I got a bad board or what, but I eventually gave up on it and moved on to the more costly Naza FC, which works great for me. FrSky Telemetry Radio - The turnigy 9x is a great value in a Transmitter, and when upgraded with the open source ER9x firmware, it becomes a really capable radio. But quality control on the 9x is horrible, and mine came with a defective radio module. The 9x is a modular system, so this gave me the opportunity to upgrade to a frSky module and RX. 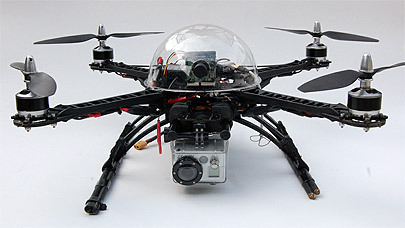 The FrSky is cool because it has really long range (good for FPV), a settable fail-safe, and telemetry. It’s a 2 way radio, so you can hook up various sensors to the receiver, and the RX will send data (such as battery voltage, GPS coordinates etc) back to the transmitter. After burning through 20 or so battery packs flying around LOS at low altitude, breaking a few props and landing skids, I had a pretty good feel for controlling the quad, and decided that the systems were solid and reliable, and that it was time to put on the goggles and try some FPV flying. Below is a picture of the flying field that I chose. Do you see anything unusual? There is a great little field inside a park near my house called Discovery Park. There are lots of historic buildings, water views and other things that would make interesting aerial video subjects around the field. There was even a nice giant Doppler Radar station right there 100ft away for me to enjoy! So I decided that it was time to try out some FPV flying. I set up my base station, pre-flighted all my gear and got ready to take off on my maiden FPV voyage, the big moment I had been working toward for so long! There were a few people walking dogs in the area, so I decided that it would be best to get some altitude, then start flying around up where it was “safe” while I got used to flying with the goggles. I hit the throttle, shot up to a 150ft or so and started to make a gentle turn to “look around”. Everything was looking great, just as I had hoped. I could see great through the camera/goggles with just a little bit of odd static. Then suddenly, the motors just shut off, and the quad dropped straight down in free-fall and slammed into the ground. Was it really the radar? Although the crash could have been caused by a flight controller brain-fart, or other glitch, I believe that the quad was zapped by the radar. It still had not dawned on me that the radar was the cause of the problem. Another guy had just arrived at the field, and was starting to fly an e-glider. My initial thought was that his radio had jammed mine, so I went over to talk to him, told him what had just happened, and asked him what frequency he was using. He just pointed up to the radar ball and said “it was that”. Apparently, he had experienced similar problems with his plane’s equipment being affected, and even permanently damaged by the radar in the past, but only at altitudes higher than a few hundred feet. He still flies there, because his house is right by the park and it’s so convenient. He just considers it a cost of doing business. I won’t be flying quads there again at any altitude. When I got the wreck home, I hooked up all of the electronics and everything seemed to be in working order. FC, ESCs, radio, motors all seemed to function normally, at least in a static test. So the crash does not seem to be the result of a burned out ESC or failed motor or FC. Another thing that points to the radar, is that the video from the goPro video camera that the quad was carrying, mysteriously cuts out about 5 seconds before the motors mysteriously cut out. The goPro is not electrically coupled to the quad, was fully charged, and has never cut out in mid-take before this. It was blown out of the sky by the radar. Oh, China! Please send me my parts quickly. I can’t wait to get quad 2.0 up in the air and continue on my FPV journey. This entry was posted on Sunday, May 20th, 2012 at 2:05 pm	and is filed under Debris, Reviews. You can follow any responses to this entry through the RSS 2.0 feed. Both comments and pings are currently closed. Yikes! Post photos of the debris. 100% it was the radar. Woah this weblog is great i like studying your posts. Stay up the great paintings! You recognize, lots of people are searching round for this info, you could aid them greatly. I once worked in a mainframe datacenter across a highway from one of those beasts. While the computers themselves were underground and shielded, the RF was substantial on the first floor. You could hear the beam sweeping on AM radios, and on piezo speakers on printers and other equipment on the floor. 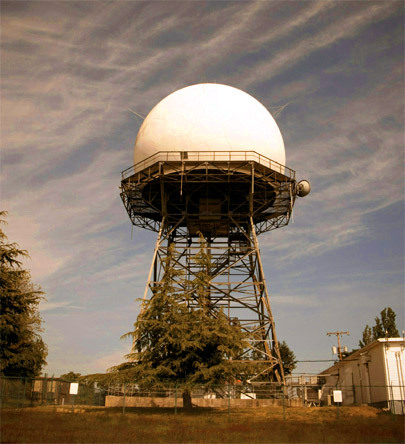 One IBM 6670 laser printer would not boot up with covers open when the radar was on…which it was all the time, since this radar fed KPHL approach control.